Is Running A Business The Right Move For You? Running a business is not for everyone. Some people enjoy doing what they do best. In other words, they follow their passion and make a business out of it. The problem is they may be doing what they love but they don’t enjoy running the business. Others have the entrepreneurial spirit and look for the best opportunities to generate revenues. Have a look at Is Starting A Business The Right Move For You? to determine if running a business is right for you. You’ll also want to have a look at The Reasons for Getting Into Your Own Business and Five Ways to Find the Right Business for You. One of the most exciting ventures you can undertake is opening your own business. 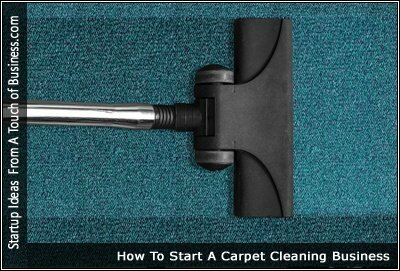 But for anyone looking into how to start a carpet cleaning business, it can seem a little overwhelming at first. You’ll need to buy equipment and supplies and hire a qualified team if you don’t intend on doing everything yourself. Starting a carpet cleaning business requires smart planning when it comes to equipment, marketing, managing profit, and more. “The good thing about the carpet cleaning industry is that it’s very flexible,” says Doug Berjer, with CFR (continuous flow recycling extractors). More & more homes & offices are featuring tiles & hard floors these days – so why not take advantage of this & offer floor tile & grout cleaning?